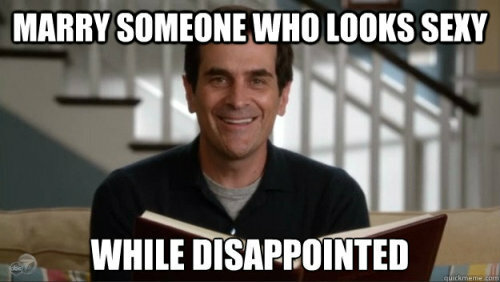 If you’ve ever seen Modern Family you probably know and love Phil Dunphy. Phil is so endearing, one of the qualities that makes him so is his…cluelessness. He can be a little naive sometimes and Claire (his Type A and at sometimes scary wife) often has to step in and well, take control. While I laugh a lot at Phil’s antics and think he’s the sweetest dad/husband, I struggle a little bit with the dynamic between him and Claire. I think today the media often portrays fathers/husbands as these clueless, goofy and kinda dumb caricatures that are entertaining but not really functional as head of a family. Don’t get me wrong, I love goofy guys. Love them. Like, they’re my favorite. But, I think what women need (and want) even more is men who step up (note: these aren’t mutually exclusive, keep reading). Do we want to constantly have to take the lead? Do we want to call all the shots? Do we want to have to be the ones who initiate always? Because in taking away man’s ability to lead, that is what we are communicating. I think women sometimes allow our desire for control get a little out of hand. To the point where our husbands/boyfriends are little more than accessories or people to pose with for Instagram pics. We’re only happy with them when they do exactly what we want them to. We often take decisions out of their hands and eagerly initiate interactions or make judgements for them. We text them first, we plan all the dates, we plan everything for that matter, we take charge, we lead. This isn’t always healthy, because where does the need for control really come from? We ‘need’ to control because the man can’t handle it/won’t do it/will fall short. So, instead of facing rejection/a poor result, we take matters out of their hands. Unfortunately, what happens when we perpetually take over is that we deny men the opportunity to be decisive, to take action, to pursue us, to show us they care. As a result, we eventually start to feel frustrated and resentful that these men we love aren’t showing their love, aren’t doing their part. Doubts and insecurities start to creep in, do they really love us? Are we wanted? Do they appreciate and value us? What we really need from men is for them to step up, to take action, to be men. I don’t want to spend my life chasing after a guy. I don’t want to have to make big decisions by myself. I don’t want to feel resentful or unappreciated. I want to trust him, to rely on his judgment and to know that my family and my heart are in good hands. I love Phil, I love goofy guys. I also am type A, like Claire. I think we can have both and. It doesn’t have to be either he’s goofy or he’s a leader. Either I’m laid back (ain’t happening) or I let him lead. I think that as women we can help this dynamic out by letting go of the reigns a little and relinquishing some of our control. Just see what happens over time if you don’t make plans, if you don’t reach out first, if you let him decide where to go/what to do. The reason we should do this is to allow room for a give and take in the relationship. By that I mean allow us as women the opportunity to be receptive. Receptivity can be very feminine (as reflected in our bodies). However I think a lot of times we override our natural inclination toward receptivity because it requires us to trust and just be. ‘Doing’ feels so much better because we think we’re in control, we know what the outcome will be; there is no room for ‘what ifs’ or disappointment. But if we never give ourselves the chance to be receptive to our man’s love, how will we know it’s really there? Trust is a requisite of loving relationships, and trust necessitates uncertainty. Otherwise it wouldn’t be trust, it would just be knowing. This doesn’t mean we can’t ask for what we want, share how we feel or that we somehow have to become something we’re not (for example trying to be ‘chill’ when we’re just not). It really only means that we can relax. He’s got this, it will be okay. Maybe you will be let down at times – a normal part of life and relationships-, but maybe, just maybe, you’ll be pleasantly surprised when your man steps up to the plate. Isn’t that what we really want anyway? To me it was just an excuse girls used to wear dresses that are too short and sleep with men they knew didn’t care about them. After all, my dad moved out after my parents got divorced and I didn’t go around in skimpy dresses hooking up with guys I barely knew. I was convinced that I had been unaffected; that ‘daddy issues’ was just a made up term by Hollywood or a misguided psychologist. In fact, it wasn’t until over ten years afterward that I started to suspect that maybe, possibly I was wrong (there’s a first time for everything!). I had always been anxious around men and very distrustful of them, something I never questioned. To me that was normal. Why would you think a guy was good? They might be cute, or funny, or charming, or talented…but not trustworthy. And I was more than okay with that. To me thinking any differently was just being naive. I watched as my friends got hurt over the years while patting myself on the back for not making their same mistakes. I knew better than to try ‘putting myself out there.’ ‘Miss Independent’ was my theme song and I was proud of it (Kelly Clarkson’s version, not Ne-Yo’s). That is what I believed. Until I actually met and really liked a good guy, and then I was in trouble. The problem wasn’t him. The problem was that I treated him like every other guy I had known (or thought I had known). Suspicious, questioning, doubting, accusing, undeserving of my trust or the benefit of the doubt…not at first, obviously; but the more I got to known him the more I felt comfortable expressing anger toward him, even when he most definitely did not deserve it. I became more and more frustrated with myself as I tried to trust and failed repeatedly. Why couldn’t I just have a little faith? Why was I sabotaging this relationship that was so precious to me? Why was I hurting the man I loved so much? The answer that kept coming up and that I persistently dismissed was this: maybe it was because dad left. Fathers teach their daughters how to be loved. They are meant to cherish and dote on us. They tell us we’re beautiful and smart and set the standard of how we are meant to be treated by men. They are our rock, a figure of strength and stability amidst the chaos that is growing up in today’s world. But that’s not what I learned. What I learned was that men leave, and that it might be my fault. Something about me could be innately unlovable. Because if I was lovable, he would have loved me; and if he loved me, he would have stayed. Cognitively, at the age of 23 I understand that his leaving had little to nothing to do with me. I also understand that my dad had his own demons that were instrumental in his decision to leave, and that he did not mean to hurt me. But the damage was done. To undo 10 years of deep hurt that was pushed down and strong defenses that were built up is a monumental task. I had to become something unnatural to survive, tough and angry, something not compatible with my naturally sensitive demeanor. 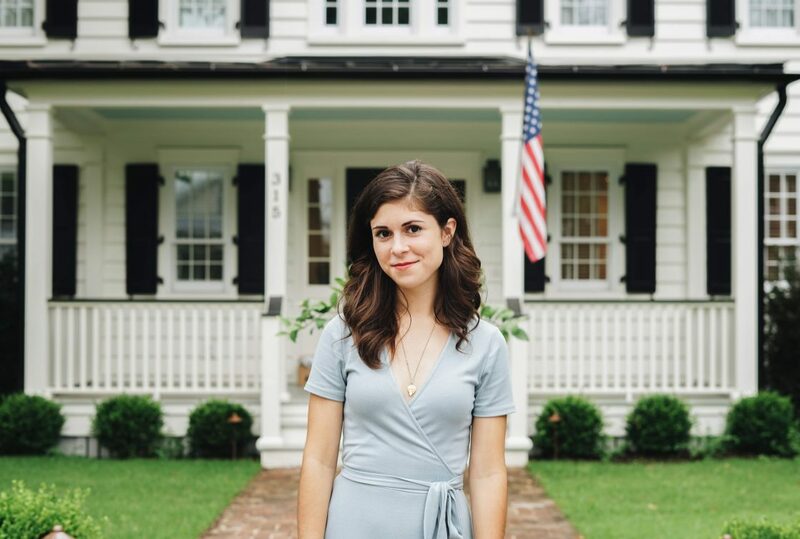 Experience is the most powerful teacher and my parents’ divorce and my father moving back overseas afterward is probably the most defining moment of my life so far. As much as we try to tell ourselves it’s not, divorce is traumatizing and destroys families and the individuals within them. I’m lucky enough that my dad calls me almost every day. He cares about me, certainly. But unfortunately, phone calls will never replace the presence of a strong, loving father, day in and day out. ‘Daddy issues’ are real (even though I still hate that term). I say all this, not to evoke sympathy, but as a plea to any men out there. If you are married, or thinking about marriage – especially if you are a father – understand that your role is irreplaceable and that you are needed more than you will ever truly know. Your marriage is not just about you, if you have children, regardless of whether or not they are aware of it, they want to be loved by you; and your leaving will affect them for the rest of their lives. I suffered a lot at the age of 12 when my parents separated. 10 years later it continues to haunt me as I attempt to navigate my way back to trust with someone who actually deserves it. It has been immensely difficult for both of us and not something I would wish on my worst enemy. No one should have to deal with this, but I know many do. Two Christmases, Thanksgivings, weekends shuffling back and forth between houses, step-parents…it’s not normal. As a culture we’ve convinced ourselves that it is, and twelve-year-old girls everywhere are being completely heartbroken by the one man that is supposed to love them the most, by the one man that was supposed to know better. I wish dad had known that before he left. For at least a month (up until last week) I was driving around with no radio. I know…the horror. My car radio (intelligently) locked me out after I had the battery replaced and even though I looked and looked, could not find the code for it. I finally called Honda a few weeks ago and they attempted to help but after a little bit on the phone were also unsuccessful. Resigned to the worst, I was preparing myself to visit the Honda dealership in person when Nicholas rode with me one day and – as I was telling him the radio malfunction saga – he pressed a button that miraculously turned on the radio for the first time in weeks. I wish I could say that I was surprised, but things like that happen to him all the time…and I’m not bitter about it at all. I was a little disappointed at this message, especially because it’s not the first or second or tenth time that I’ve heard it spoken to me from various sources recently. I think my generation has become very guarded and as I’ve gotten older I’m starting to understand why. From 1960 to 1980, after the no-fault divorce bill was passed (saying that you could get a divorce without proving spousal wrongdoing), the divorce rate more than doubled. A lot of us millennials and some from those in the previous generation (gen x) were born to those parents. Ex: my mother and myself. We were both born into families whose parents went on to get divorced. What has occurred as a result of this breakdown in the family, is that we are terrified of making a promise that could later on be broken. What we have learned is that a vow doesn’t mean anything, it is unsafe. I can say ‘I love you’ and still walk away. Marriage, therefore, has lost it’s place in society as an outdated and ineffective tradition. We treat relationships lightly and avoid getting attached at all costs. The problem with this, is that family is the foundation of society. We learn to love in the home. The best example we’ll ever have of love is that which our parents show us through their love for each other. That is why we are falling short today, we don’t know how to love. It is something we have to learn, we are not born on an island; our ability to love, our identity and sense of self are all things we develop in relation to others. I wish I had known all of this earlier; my dating relationships have been made dramatically more difficult because of my own experience of what happens when we fail to keep our marital vows. We make a vow for a reason, it is not meant to be broken. Not merely because of the heartbreak that happens to the individuals who were married, but because of the damage it does to the children affected and society at large. The children of divorce live with that for the rest of their lives. Distrust, skepticism, and overwhelming fear often get the best of me, leading to strife between myself and the person I love. These thoughts and feelings aren’t things that come from nowhere, they are leftover from the reality that I’ve seen what happens when our love falls short and the pain that it causes. It honestly has gotten between us over and over again. I am constantly battling the voices in my head telling me to run…I am wary of being hurt and willing to do just about anything to avoid it. At times it is excruciating, exhausting and entirely discouraging for both me and my s/o. Experience and the fear it causes are powerful forces, more than I’d like to admit, however it is evident in myself and the culture around us. This secondhand effect of divorce is rampant in people my age who refuse to ‘settle down’ and avoid family life altogether. We have, instead, become concerned with career achievement and having a good time. While these are good things, they are not the best things. The most convincing lie out there today is that you can’t have a good job, have fun and be married with children. It is either one or the other. If that were true, then I wouldn’t blame anyone for not ever wanting to get married, that sounds awful! The reality, however, is that family life doesn’t steal our joy, it increases it. The studies concerning singles vs. married couples shows us that married couples tend to be happier. This makes sense, because we are made to be in relation to others. We are born into families for a reason. Our deepest joy doesn’t come from getting drinks with friends (again, not a bad thing), it comes from loving and being loved deeply. I know how discouraging it can be when people left and right are leaving their marriages. I know what it’s like to grow up convinced that family life is for the sitcoms and love doesn’t work. I know how hard it is to love when all you know is what happens when we don’t love. However, Nicholas reminded me in a moment of frustration that hope is a virtue because it only makes sense in the context of hopelessness. If things are just fine, we have no need for hope. We need it when we are most tempted to despair. As millennials get older, I hope we realize the absolute necessity for family life. I hope we’re brave enough to give it our all, even if we’ve seen others who haven’t. I hope we learn to prioritize what is truly important and to overcome the fear that tells us to run the other way…because if we don’t, I guess I’m not sure who will. It’s up to us to undo the cycle of broken promises and give the generations after us the opportunity to be learn what it means to love and to love others themselves. When I was seven or eight, I had an altercation with my BFF (shout out to Maria in NYC!) and decided to write a song to her explaining how I felt. It didn’t end well. Unlike Mozart or Lil Romeo I was not a young musical genius and so my music writing efforts didn’t result in much. However, I’ve always enjoyed music and loved expressing myself that way. I played violin through college and have always loved listening to music too. Early on Taylor Swift was my girl (she sings about boys, what else do you care about in middle or high school?). Even now I love coming across a song with lyrics I relate to and a sweet tune. Recently, country singer Maren Morris’ song ‘I could use a love song’ has been stuck in my head. I think she really hits the nail on the head as to how a lot of us feel today in regard to relationships. Despite overwhelming cynicism in our generation, a part of us longs for romance and the kind of love that lasts a lifetime. As much as we fill our lives with work and friends and hobbies and a date or two, part of us is longing for more. Okay, sometimes it does. Sometimes you’re smiling and laughing and feeling warm and fuzzy. But a lot of times it’s a lot less like the Notebook and a lot more like a documentary that’s a little too real or even slightly boring. Loving someone isn’t just a feeling, it’s choice that you make over and over…even when it’s hard. There are times when you’re both really tired and just sitting there next to each other has to be enough. There are times where you go out with their work friends and feel a little awkward and left out. There are times where you disagree on sensitive topics or even really little things like whether gages are cute or not (they’re not…just so we’re clear). There are times where the person will disappoint you; whether it’s something they did now or yesterday or when they were in college…none of those times feel good. But the good news is that love isn’t a feeling. That is good because when these discomforts arise – which they will because we’re HUMAN and not a Hollywood film – we can still choose the other person. Somehow movies tend to end when the couple gets together…we never see what happens after the ‘happily ever after.’ Falling in love is just the beginning. A lot of divorces happen because people stop ‘feeling it.’ They slowly move farther and farther apart as they get caught up in other priorities (work, children etc) and neglect their relationship. Regular date nights, reconnecting daily, playing together, sharing in each other’s interests…these are all necessary to maintain a healthy and loving relationship with your significant other. Also things like keeping a lark journal or photo album are helpful. I think it’s easy to get comfortable with the ones we love and then complain when the ‘spark’ is gone. Fortunately the ‘spark’ is something we can work on. It just takes…work. Love needs to be nurtured and protected, not taken for granted. We all have wounds from loved ones. Whether it’s our imperfect parents, previous romantic relationships or some traumatic event, we have hurt that stays with us. Love is healing. In healthy and loving relationships we re-learn (or un-learn falsehoods) about what it means to love and be loved. Today a big movement out there is telling us to be independent; as counter cultural as it may seem, I’m saying you’re not and never have been. We’re born reliant on others and though we may learn to provide for ourselves, love is something we can only learn in relation to others. That doesn’t mean it has to be a romantic relationship; we can learn this from family or friends as well, but it does mean we need others. To trust and be trusted, to give and receive, to be vulnerable, to be intimate…these are only things we can learn outside ourselves, regardless of your ability to feed yourself. It just does. Loving someone requires time and energy and effort. You can’t continue to live your life exactly how you want. You begin to take the other person into consideration and think about how your decisions affect them. You think about what makes them happy instead of only what pleases you. You eventually begin to put the other person before you…that is what love does, it makes you selfless. We’re born inherently selfish, (did you as an infant ever think about whether it was convenient for your mom to feed you or not?) out of necessity. Our goal as we grow up is to unlearn that. Loving another person is a wonderful wake up call that can sometimes feel like a slap in the face. We’re no longer just looking out for ourselves and it’s painful. Every instinct tells us to focus on self-preservation, meanwhile we know that we don’t have room for selfishness in relationships. Love is ultimately gift of self, a sacrifice. Maren Morris could use a love song and I think a lot of us are in that boat. Maybe they aren’t being written as much because we’ve lost sight of what love really looks like. How can we write (or sing) about something we’re not familiar with? Love is hard, and we don’t want that. We’re looking for the easy way out and coming up empty; empty hearts and empty playlists. But we’re missing out, because love is wonderful and absolutely worth fighting for…maybe if someone would come out with a song we would realize that. Did you ever wonder what happened to Cinderella’s stepsisters after she married the prince and left to live happily ever after in the castle? Love stories tend to focus only on the people inside them. Which makes sense…it’s a love story, not the Proud Family. However, to say that relationships don’t affect people outside of them is just not true. This is especially important when it comes to marriage. The idea that marriage is supposed to last forever isn’t a silly fairy tale or a random rule an uptight monk decided would be a good idea; it’s the foundation for family life. Love is meant to be eternal…not just to last as long as it feels good. The family unit depends on this. The security that comes from a couple that stays together provides their children with the opportunity to learn what it means to love and be loved. Love entails permanency; anything less is insufficient and breaks the most essential player in loving relationships: trust. This isn’t just my opinion: we know that parental divorce leads to lower trust in future relationships of the children. In other words, something that is already difficult (entrusting yourself completely to someone else) is made exponentially more challenging. Trust is everything. Self-gift necessitates a surrender of control that can’t happen without faith in the other person. When trust is broken in a vital relationship – the one that sets the example for all the relationships to come – we are left impaired for life. This may seem like an exaggeration, I thought so too until I experienced the ramifications in my own relationship. Facing my trust issues has been one of the biggest hurdles I’ve faced thus far and not one I would wish on my worst enemy. The pain, confusion and helplessness that arises when you feel you can’t trust someone you care deeply about is overwhelming and has often threatened what I know to be a really good thing. When there is betrayal in a formative relationship (as what happens in divorce), our outlook on intimacy and relationships becomes skewed…unnatural. Despite the normalcy of divorce, I know I’m not the only person suffering it’s severe consequences. The marriage rate in the U.S. is at an all time low. An important reason given for this is the fact that millennials’ ‘don’t think it’s likely to last.’ (Deseret News, 2015). We are also getting married a lot later in life (at the age of 27 for women and 29 for men compared to the ages of 20 and 23 in 1960, according to Bentley.edu). We are experiencing a ‘cultural retreat’ from marriage…and it is no bueno. What we’ve resorted to is cohabiting – or living together outside of marriage. We think that this kind of relationship is preferable to making a vow and then breaking it later. While understandable, this idea couldn’t be further from the truth. This type of relationship is dramatically less stable and has a much lower rate of success than those of married couples (Deseret News, 2015). But, we think we’re smart so…here we are. There’s nothing wrong with meeting someone over the internet; the problem arises when we treat dating like we’re flipping through TV channels as opposed to what it should be: a genuine effort to discover another person and find out if you can see yourself marrying them. Marriage and family have been pushed aside in the name of practicality and as a result we’re becoming even more self-centered. The thing is, it’s not just about us. Love is necessarily other focused: the person we marry and the children we have have everything to gain from our unconditional love. We can’t afford to just look out for ourselves; there’s too much at stake. It’s not glamorous or exciting to think about Cinderella and prince Charming’s children or how their relationship affected their community, but that’s really everything. After all, we can tell a tree by it’s fruit! What we do in life matters, but nothing matters more than the close relationships we have with the people we love. Love (like trust) is learned and it can’t be learned if we’re focused on just our own needs and desires…it’s bigger than that. We may say ‘I do’ at the altar, but really it is so much more than just about us; if we take this seriously we can love others fully and allow them to then do the same…and isn’t that quite the privilege?